Sure, your tack trunk is packed to the brim and your car may be overflowing with saddle pads, blankets, and bridles, but there is still more to bring to the barn—enter the Rider’s Backpack. Whether you’ve got a trusty school backpack or one that is specialized for equestrians, a backpack to carry all of the little necessities is, well, a necessity! From everyday essentials to just-in-case items, make sure your barn backpack is full of everything you will need. 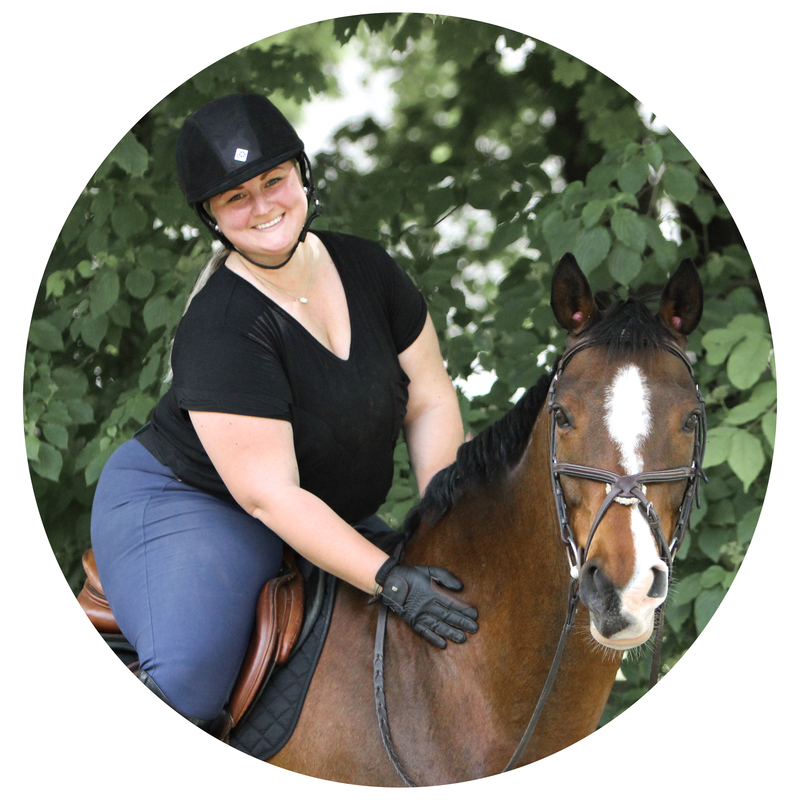 Helmet – Personally, I don’t like to leave my helmet at the barn because: 1) it will get dirty no matter where you put it, 2) it would get jammed into my tack trunk, 3) extreme cold and extreme heat aren’t good for the materials. Plus, why not use the helmet pocket on that unnecessarily expensive backpack. Gloves – Keeping your gloves with your helmet is the easiest way to make sure you don’t lose them and that you always have them when you’re ready to ride. In my bag: Roeckl Chester Gloves. Hairnets – It is always nice to have a few extra of these hanging around in case you rip yours or a friend needs one. Hair Ties – Losing and breaking hair elastics is inevitable, so make sure to always have a few spare in your bag. Snack – The barn can be a black hole. Suddenly you look at the time and realize you’ve been there for six hours and you’re starving. A granola bar or piece of fruit is easy to stuff in your bag as you run out the door. In my bag: I love these Clif Mojo bars—they’re yummy, filling, and have protein to keep you going. Water – Dehydration is the last thing you want to happen at the barn. No matter the weather, a water bottle is a must to stay hydrated. Baseball Cap – The easiest way to cover up sweaty helmet hair is with a hat. Throw it on after taking your helmet off and you’re as good as new. In my bag: The Vineyard Equestrian Logo Cap. Lip Balm – Even ponies don’t want kisses with chapped lips! In my bag: The Herbal Horse Lip Balm. The one I currently have in there is Earl Grey Tea and it smells like the heavenly-est rainy fall morning. Pain Reliever – Because are you even an equestrian if you don’t have the joints of an eighty-year-old? Catching pain before it is overwhelming is key, especially if you are like me and get headaches, so have a bottle of something just in case you hit the dirt or your sticky knee decides to be extra ouchy that day. In my bag: Extra-Strength Excedrin. Lady Items – Do I even need to say it? Portable Charger/Phone Cord – Taking all those adorable photos and Snapchats of your horse will majorly kill your phone. Pack an extra charger or battery pack for when your battery is in the red zone and your horse is just being too cute. Medical Records – Some people choose to keep these in a safe place at home, but keeping a folder with extra copies of your horse’s coggins, rabies, etc. in your bag is helpful when you are trailering somewhere—you won’t even have to worry about packing them. Journal and Pen – If you are someone who keeps a riding journal, this is the place to keep it. Write down what you did during your ride, what you need to work on, and what successes you had while it is fresh in your brain—after you take care of your horse first, of course. In my bag: Italian Leather Journal and a Sharpie Pen. Wallet – Aside from needing your license with you to drive to the barn, make it a habit to toss this into your bag before leaving home. There will be no more “I forgot my check!” the day board is due and you’ll have money to stop and get food on the way home. Phone (with a protective case on it! )- What else are you supposed to take a million cute pictures of your horse on? Good items. I have a binder for my horses records in my trailer. It’s nice to have lots of extras so I try to keep a few copies of my coggins in various places. I’m always nervous that I’ll forget to bring them, so I make sure I have tons of copies everywhere. Nothing is worse than getting to a show and realizing your records are at home. I used to use a duffle bag in college, but now that I have a bigger tack trunk I can shove more stuff in there and have to carry less stuff with me.